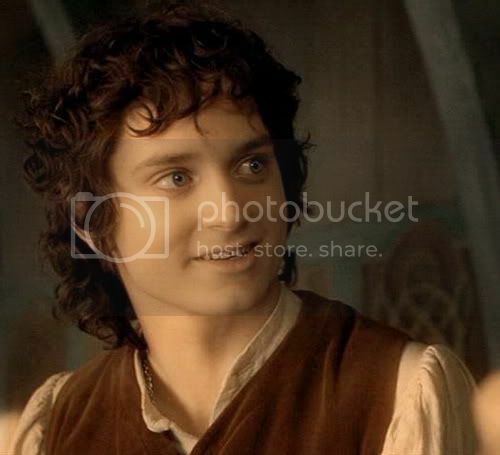 Frodo on his actor's mind: jan-u-wine's 'Of Humans and Hobbits'. Nearly seven years ago, Elijah Wood said something about playing Frodo to an interviewer that resonated with many fans. The journalist wrote that Wood, although he had gone on to other roles since the trilogy, nevertheless did not disavow the character of Frodo. "I think at a certain point the attention on those films will die down, but I think I will always be associated, as will everyone else, with those films," Wood told his interviewer. "I'll do other things. But Frodo I think will always be there, like my little shadow." (Raymond Johnston, Prague Post, August 19, 2004). 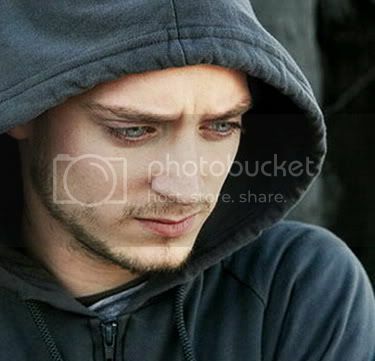 Now Elijah Wood is reprising the role of Frodo, and his "little shadow" will be entering the light once more. Hearing about Wood revisiting the role in The Hobbit has led fans to wonder how he might feel about it, in his private thoughts. Surely an actor who embraced a role with such warmth, even affection, in spite of being so overwhelmingly associated with it (not such a "little" shadow, after all), would find the memory of the part almost haunting. No, haunting implies a ghost. Frodo might be for him more of a living presence, even if just hovering at the edge of vision. For about two weeks, I've been observing the same sorts of sunsets the poem describes.... almost as if the sun is setting in opal milk. To me, it's very pretty. From my point of view, I can see the little 'hill' that makes up Palos Verdes. From where Elijah lives, he'd see the Santa Monica Mountains. It'd probably be even more misty there, the mountains more pencil-smudged, since he lives closer to the ocean (I don't know precisely where he lives, I'm just assuming much closer than I). Anyway, in watching these sunsets, a great feeling of *forever-ness* started building inside. Jan-u-wine recognized that feeling, a feeling she associates with the undying presence of Frodo. If she was feeling it, others might, too, including Frodo's actor. And, surely, if he weren't feeling Frodo's presence, he'd be seeking it. 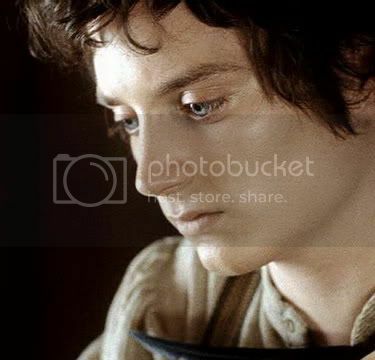 For images, I chose the top two to complement each other, showing Elijah and film Frodo in serious, contemplative moods. To frame the poem, which has a very different atmosphere, I chose two others I thought complementary. I don't know what Wood was thinking when this photo was taken, but his expression to me is one of pleasurably reflective anticipation. The image of Frodo at the bottom comes from the moment in FOTR when Bilbo is showing him the Red Book. I thought this very appropriate, given the rumoured context of the new film's Frodo-Bilbo scene. Oh, yes, he knows this voice. his trousers are so very long. as the letters he will scribe. ~ "Naked in the Dark". Thank you for sharing Jan-u-wine's beautiful gift. Hi, Moley. I'm so glad you enjoyed the piece. "The ocean that separates them yet unites them as one." Wow, there's a lot going on in that sentence. And how great that you were able to visit Santa Monica and be present for its Pacific sunset. Lovely pictures to go with a lovely poem. Sure a role that has such resonance with us, and lodges so deeply in our hearts, still lives in the person who created him so truthfully. I so like the way you put it, that surely the role of Frodo, "that has such resonance with us, and lodges so deeply in our hearts, still lives in the person who created him so truthfully". Absolutely exquisite as always. This quote of Elijah's also resonated deeply with me. So much so that I asked the wonderful artist trilliah to draw an image of Elijah/Frodo and of Sam/Sean with Sam and Frodo appearing as that 'little shadow' or, in my mind, a 'guardian angel' behind each of them. She did... as you can see... a magnificent job. Further... at one of the ORC conventions Sean did a panel where he said that 'Sam will always be on my shoulder'. I had brought both drawings to the con and Sean was good enough to sign that same statement on my Sean/Sam picture. He LOVED the images, tho he said he liked Elijah's better than his. I haven't had the chance to have Elijah sign his picture yet... but I still have hope. I think his 'little shadow' comment was very moving... and your poem illustrates that perfectly. These images now hang proudly in my living room. They are utterly lovely. They don't look as good here because they just didn't scan well. How great that he signed those for you! And I hadn't heard the quote where Sean Astin speaks of the role of Sam in that way. That's great. I wonder if he was thinking of Sam as his angel, or muse, or perhaps he meant the character of Sam hovered close by as a reminder of personal goodness, staying hopeful, staying true, all Sammish qualities worth emulating. The faces are so very well-rendered. Are they in pencil? Perhaps they were done digitally, I am not good at discerning. You say they hang in your living room. Are they small or on full-size sheets of art paper? It interests me, the way the artist has reversed the sizing I would have expected, thinking of the quotes. She has made the portraits of the fictional characters much larger than the real-life people who played them, even though the real-life people are in the foreground. I find it disconcerting, in a way -- even more so when I remember that the characters are hobbits half the size of their actors -- but the way she has done it makes me think. It's almost as if she were visualizing the way the characters these two actors played have come to overshadow their subsequent careers, maybe even their personal lives. Frodo's "little shadow" is not little, indeed it continues to loom very large. I don't follow Sean's career or personal life, but I am guessing playing the character of Sam remains the crowning moment in his professional life, maybe still dominating his private life, too. Or it may merely reflect that the artist's primary love is for the Tolkien characters rather than the actors who played them. What do you think? Beautiful pics and a beautiful poem!!! I see this entry and I realize how much Elijah will always have a place in my ♥ because of Frodo. The topmost pic of more mature Elijah is nearly spooky - those *eyes*! I'm thrilled *and* apprehensive about his reprisal of the role in The Hobbit - I can't quite imagine how they'll make that work, or what the storyline will be - some sort of bookend theme maybe, Bilbo and Frodo in their new home in the West talking about The journey there and back again? No, Maeg, I don't know what they'll be doing. I expect it's some sort of recounting of the adventures, as you say, perhaps Frodo asking Bilbo, "but what happened then, uncle? ", Ian Holm beginning to relate it, images of the present slipping away; that sort of thing. At first, I thought the simple thing would be to make it pre-Shire, which would make a lot of sense. But while it might be easy to tweak EW's age digitally (he certainly looks older, but they could plump his cheeks a little), it would be nearly impossible to make Sir Ian H. look the way he did twelve years ago. It's far more likely they'll have him play a very old Bilbo, but with less make-up than was required before. Jan has wondered, like you, if they'll be in the the West, talking about it. We'd like that, since it would show Frodo having gone to the Undying Lands (rather than dead, which some fans thought was the implication of Frodo and the rest sailing West), alive and well, plus a new location for the brilliant Weta folks and design team to dream up. But they couldn't be looking over the Red Book, since that's in the Shire. But they could be talking about it, as you suggest. Bilbo or Frodo could even have been working on new journals. And why not? Bilbo might be writing poems about it; he said he still liked writing poetry, even if he was uninterested in prose or history. 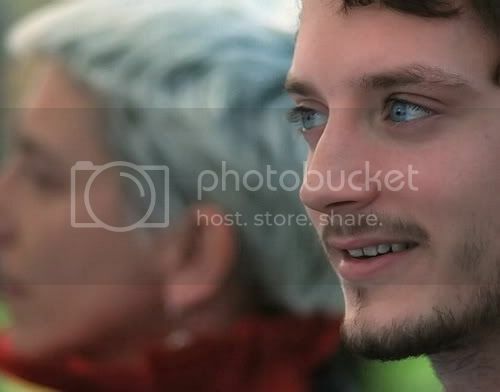 :) Frodo could be writing his inside "untold story", one of the many imagined by untold fanficcers (ha ha). I was thinking of you after the awful killings in Oslo and Utoya, Maeg. I was hoping you were o.k., and your friends and family. Norway is not a huge country. Like New Zealand, with the earthquake in Christchurch, it wouldn't be unreasonable to assume a high number of people had connections to people in the tragedy, however distant. And mass murder affects a whole community, even the larger world, whether there is a personal connection or not. What a wonderful post Mechtild - and Jan's poem is so very beautiful - I love it. I have always remembered Elijah's 'little shadow' quote - if he was ever to write a book about his LOTR experience, or in fact, a book about his life, 'Little Shadow' would be the perfect title. I know that is highly unlikely - but I wish he would. You're welcome, Paulie. I was so thrilled Jan wrote it. It will be lovely to see him again and wake again in the Shire ourselves. What a neat poem! Glad to see another one, my dear jan-u-wine, and you, my dear mechtild for posting it. The first two pictures are quite interesting in how near they are to each other in expression. I'm very happy you enjoyed the post, Antane. Hey, isn't it almost time for you to see FOTR at Ravinia? I can't remember the exact day, but it's in August, no? Thank you Mechtild for this beautiful post, thank you Jan-u-wine for yet another lovely poem (and of such an unexpected topic!) and thanks also to Rakshi for the interesting post. Also I want to comment on what gilli_ann wrote. Also in my country, Sweden, people have been completely crushed by the massacre in Norway. When it happened I felt like I was in Mordor for days, and I find that I'm still, every day, crying for all those who have lost loved ones. It is going to take some time before one can feel truly happy again. Elijah's sweet face, and Frodo's, are as usual a welcome comfort and provide a sense of compassion. Hello, Eandme, I'm so pleased you liked the post. So they are feeling it in Sweden that strongly? I suppose they would, being such near neighbors and sharing so much history and cultural heritage. It's terribly shocking. I remember a bank robbery being the front page news for a week when I was in Oslo in the mid-1970's. But that's how little crime there was in Norway in those days. A bank robbery would have been one of many violent crimes in an average day where I next went to live, New York City, but not in Norway. Norway no doubt has changed a lot since then, thirty-five years ago, but I'm sure it was not prepared for anything like this. But what city could be prepared a mass-killing of its citizens? Out of curiosity, are you now back in Sweden or still living in France?